Buoyed by a come-from-behind win over Sarpsborg, Besiktas take on Malmo in the decider. The Turkish outfit are sitting in second place in Group I ahead of Thursday’s football match and they are only one point away from booking their place in the Europa League knockout stages. Besiktas are brimming with confidence ahead of the last group game and seeing that they are tough to beat at home, we predict that they are going to give fans yet another reason for celebration. 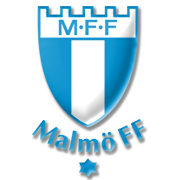 Malmo, on the other hand, finished the 2018 Allsvenskan campaign in third place in the standings and they are now fully focused on the Europa League clash against Besiktas. The Swedish side face a must-win situation against Besiktas, but seeing that the Black Eagles are a real force to be reckoned with at home, we are not tempted to put our money on the visitors.